Enchantress Design and Promo: An Exciting New Adventure and updates!!! I have partnered with Author Monica Burns for a new and exciting venture. We want to connect readers and authors in a way that's becoming more and more difficult on Amazon, Facebook, Goodreads, and other sites. So we've created MyForeverHEA.com. This is NOT a review site. We will select books that we believe represent quality romance writing, strong covers, and great prices. While readers can always visit the site, if they sign up for the special alert email, they will receive a nice reminder when the site has been updated. Additionally, there will be a giveaway inside the alert email that is open exclusively to subscribers of the alert. We're excited about this venture, because our goal is to make it easier for readers to find new authors at budget prices without constant emails from all over the place. We have bigger plans down the road, but it will always be ALL about the reader and their My Forever HEA. What does this mean for you as an Enchantress Design and Promo Client? There will be opportunities to feature your books as part of some of the packages we offer as well as future special pricing just for our clients! And now time for some updates and info! 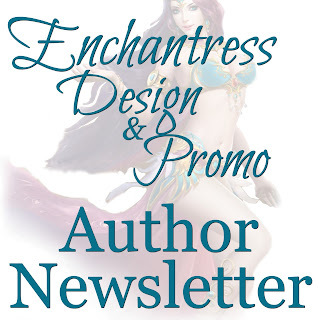 In an effort to ensure you receive the latest and greatest from Enchantress Design and Promo, we now have an Author Newsletter! Whether you are an author or an aspiring author wishing to learn more about our services, seeking marketing/promotional tips, marketing advice, and to stay up-to-date with all things Enchantress Design and Promo, fill out the form and subscribe to our exclusive client newsletter. With the recent Samhain Press​ closure, I am happy to assist authors in need of creating new book covers. 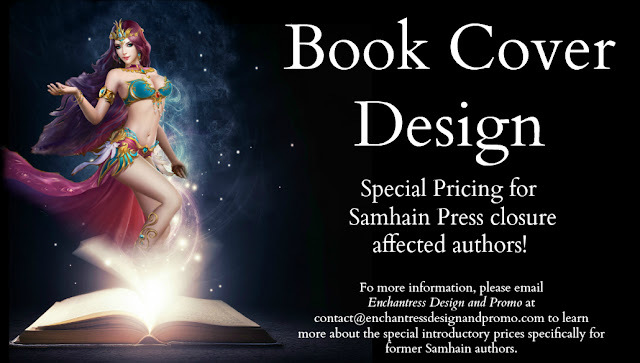 Please email me at contact@enchantressdesignandpromo.com to learn more about the special introductory prices specifically for Samhain authors. Did you know that we placed among the TOP 10 in four different categories? This is our second year placing in the Top 10 for BEST PROMOTIONAL FIRM, SITE, or RESOURCE and Blog! Thank you to all those that voted for us! Please make sure to subscribe to the Author Newsletter to receive more updates!